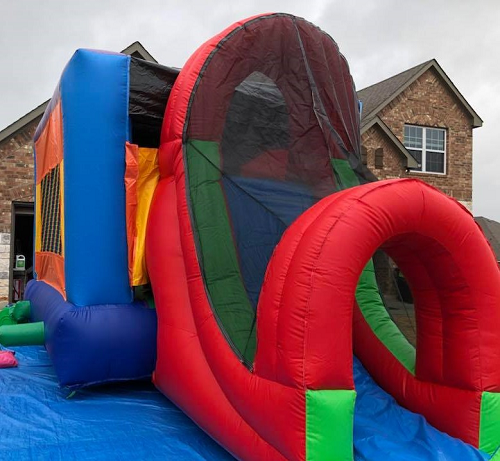 Combine a bounce house and a slide and what do you get? A whole lot of fun for everyone! Ask us about one of our many banners! Free with the rental!